Stock # JG355910, 6.7L I6 Cummins Turbo Diesel Engine, Automatic, 251 mi. 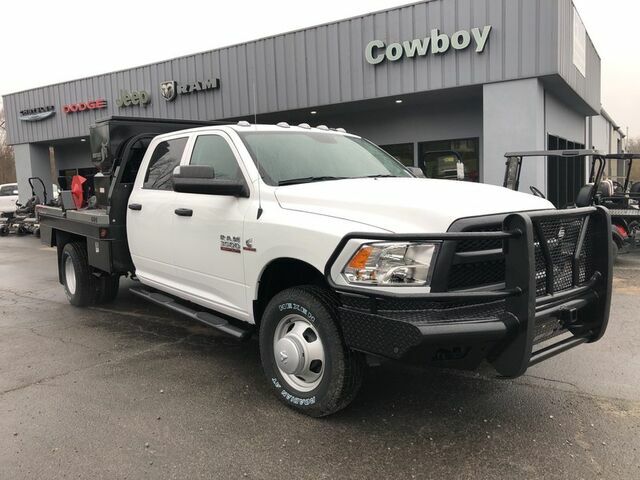 This 2018 Ram 3500 Chassis Cab Tradesman is proudly offered by Cowboy Chrysler Dodge Jeep Ram Whether for work or play, this Ram 3500 Chassis Cab is built to handle the job. There's a level of quality and refinement in this Ram 3500 Chassis Cab that you won't find in your average vehicle. Equipped with 4WD, this Ram 3500 Chassis Cab gives you added confidence to tackle the surface of any path you take. Just what you've been looking for. With quality in mind, this vehicle is the perfect addition to take home.